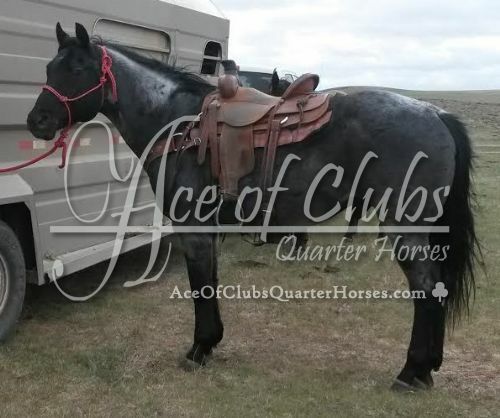 This is a high powered gelding, when you get on him you know that you are on a horse! He is one heck of a cow horse, there is no cow that you put him on that will ever get away. 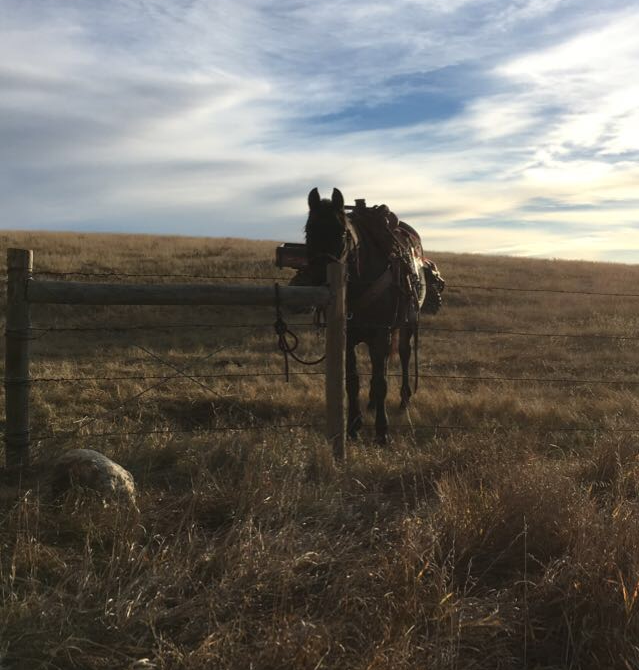 Oscar has rode community pasture and is as sure footed and at ease on the roughest terrain as a mountain goat. He is tough, doesn't know the word stop, is light and responsive, very pretty to look at, and a genuine pleasure to ride. Never been roped off of. Unfortunately Oscar got hurt and is now no longer 100% sound. For light riding he can get out and travel but he can no longer travel the big pasture to handle cows. Brilliant blue color and a baby doll head on this direct son of Blueboy Quincy. 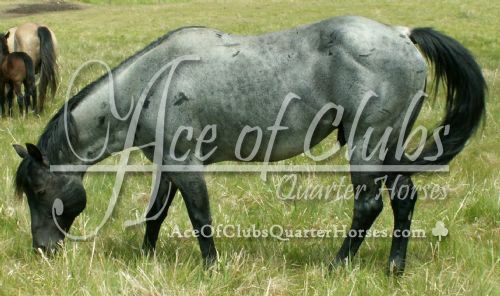 I bought this stallion directly from the fellow who had purchased Blueboy from Manitoba. 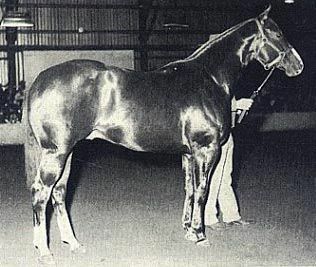 This colt was in Alan's opinion the best stallion that he had off of Blueboy. Alan won a lot of money on Blueboy calf roping and team roping. 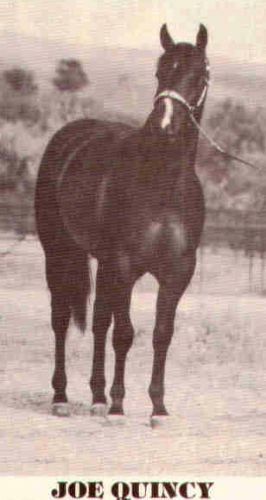 The sire of Ty Barrel - Tyroan Jet was a horse that Alan owned and used extensively as a rope horse, and sired foals that could go out and ranch, rope, rein, and burn up the barrel pattern. 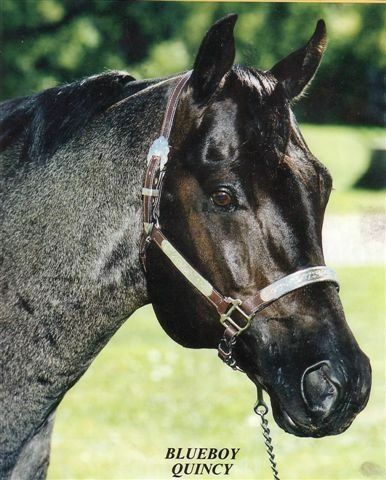 The mare Ty Barrel herself was a super mare with brains and power, and another successful rope horse. 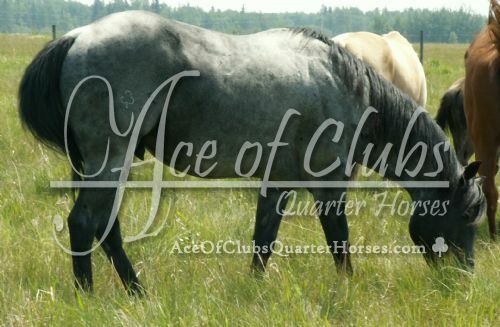 When Alan finally planned on retiring her and getting some foals out of her, he searched long and hard for the mating he considered a perfect fit for the mare. 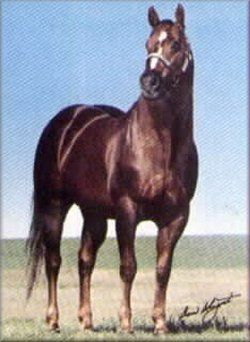 He ended up coming to Canada on the advice of a friend to look a stallion that was an unknown - taking Blueboy back to the states. Unfortunately the mare was lost 2 days after foaling Oscar. I have been to the States and seen the offspring of this stallion and can not put in words how impressed I was by them; pretty, and talented in all fields. 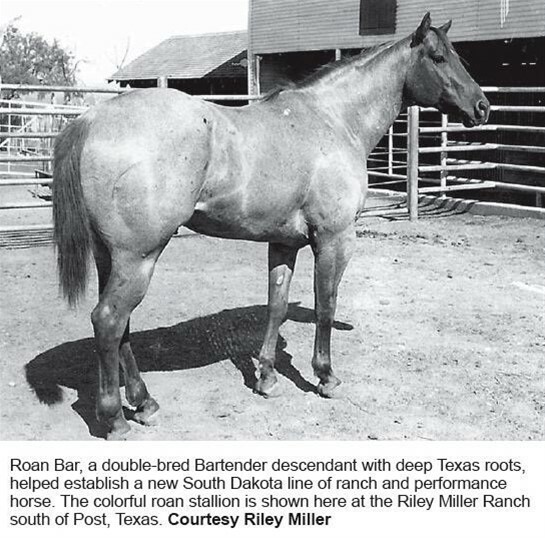 The last foal crop sired by Oscar in the US (08 foals) were destined for the reined cowhorse arena in Oklahoma. With Blueboy Quincy deceased (and the last decade of his life spent in the States) the direct offspring sired by Blueboy that I own are pretty darned special.